Yesterday morning while at breakfast with Daddy, CC lost a tooth. 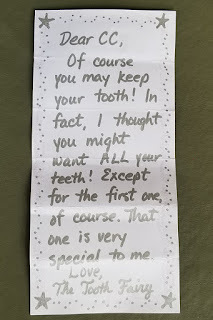 MJ carefully wrapped it in a napkin and brought it home for safekeeping until CC could put it out for the tooth fairy. 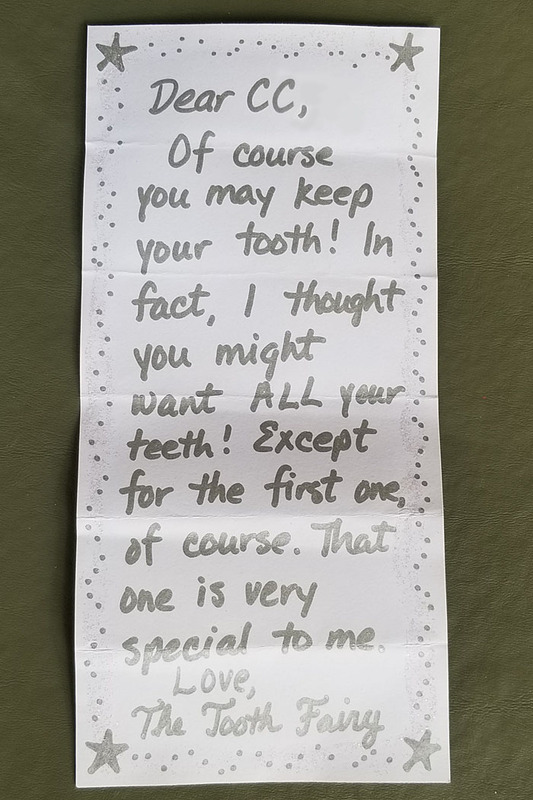 But this time, she surprised us by writing a note to the tooth fairy, asking if she could keep her tooth (and also the money). 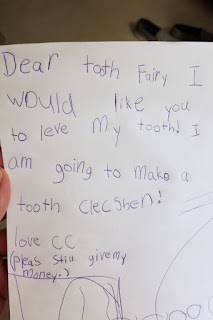 She was so excited to wake up and find that the tooth fairy had written her back! 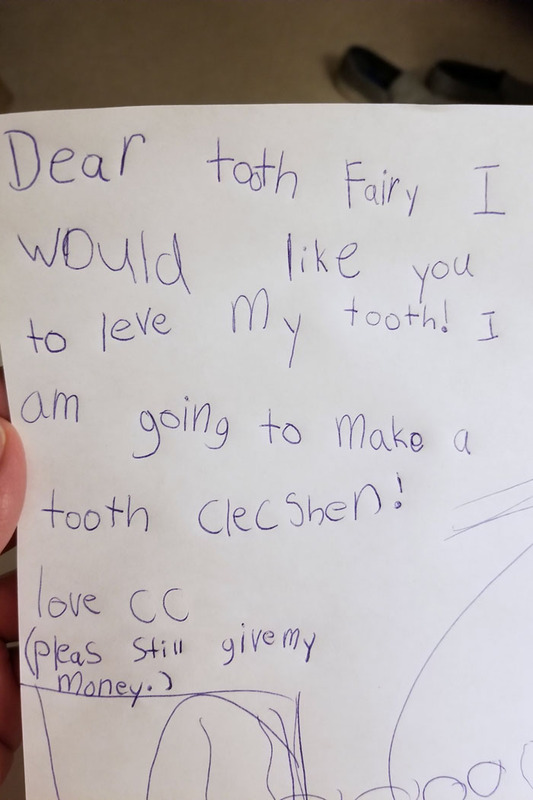 And not only had she agreed to let CC keep the tooth for her "collection," but she returned all CC's other baby teeth. Except for the first one, which is very special. (I actually lost it. Mom fail!). "Mommy, I was so happy I actually cried!" CC told me over breakfast. 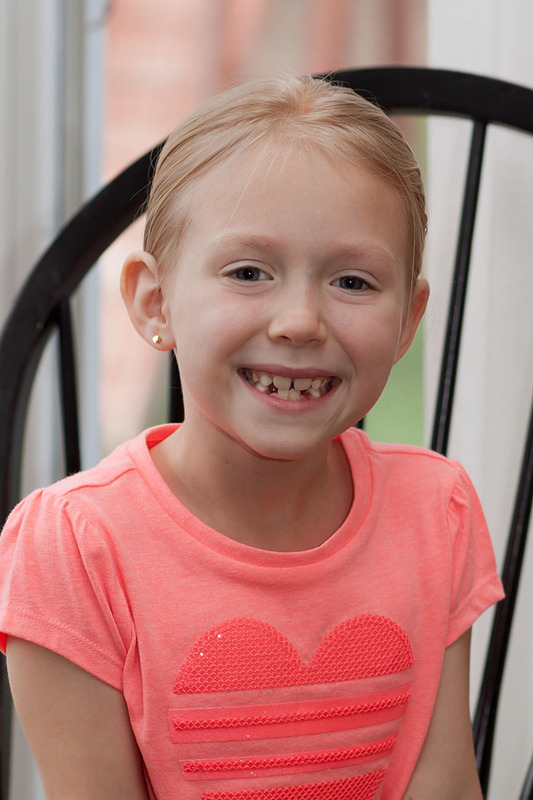 "The tooth fairy is so amazing! I love her so much! I mean, not as much as I love God. But it's God first, then the tooth fairy, then you and Daddy." And this morning, she lost another one!